Three championship golf courses designed by Tom and George Fazio and Arthur Hills offer manicured greens surrounded by beautiful landscapes and are a big draw to Jonathan’s Landing, but that’s not all. There is a full service Loggerhead Marina, tennis, yachting, and it is located just a few miles west of the Atlantic Ocean and beaches in Jupiter.. There are single family homes, townhouses and condos in the complex. The lushly landscaped villages are linked by a promenade to encourage biking, walking and the use of golf carts. Included are scenic roads that wind through lush landscapes. The community is luxurious, beautifully landscaped and unpretentious. 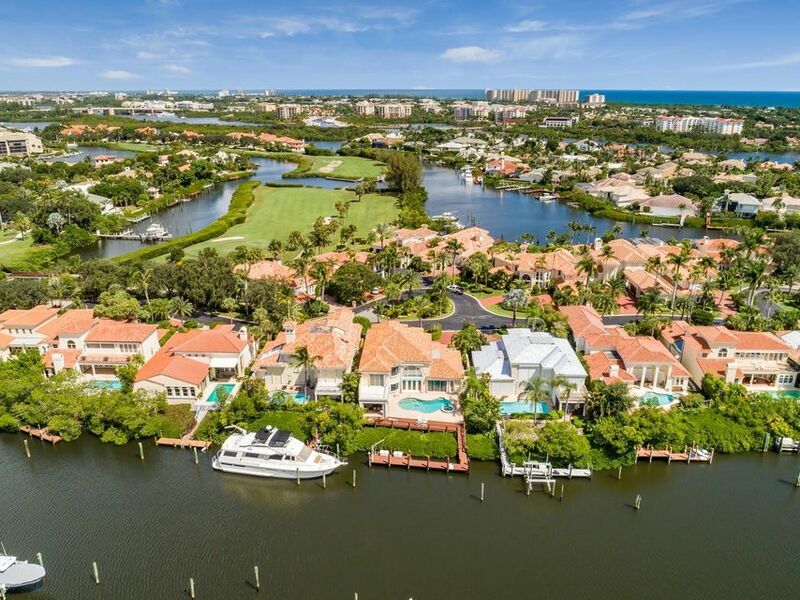 The Intracoastal Waterway is on the eastern border of this gated community. There is a channel at the center of the community that connects to various saltwater lagoons throughout. Private and/or community docks are available. 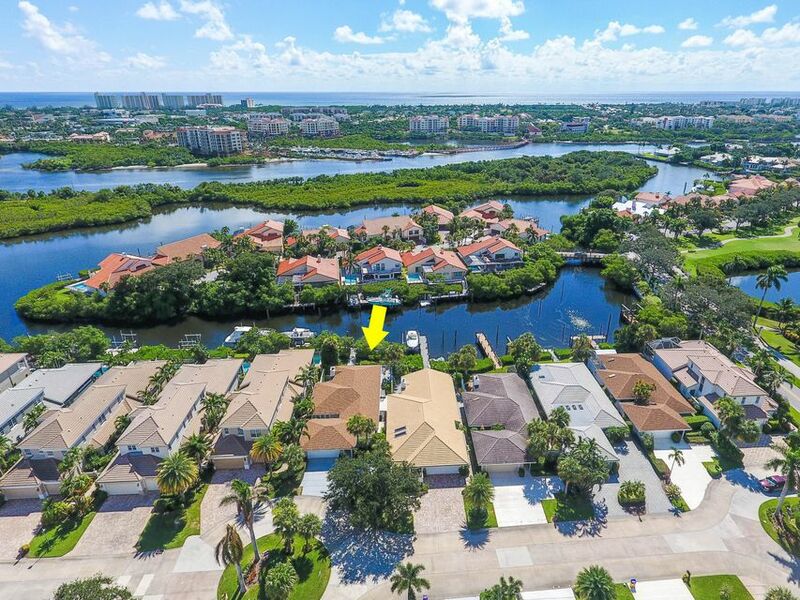 Jonathan’s Landing Club’s Loggerhead Marina, full-service, is at the southeastern boundary, just minutes away from the Jupiter Inlet, Atlantic Ocean and Gulf Stream. The Marina is open to the public and situated in a well protected harbor. Freshwater lakes and canals abound, with lush tropical landscapes. There are many scenic vistas on the 18-hole championship golf course and altogether three courses, tennis courts, fitness center/spa, sports café, fine and casual dining and many social events. Mandatory equity fees and dues apply. House Equity membership (no golf) is the least expensive type, and those dues and fees are very low. The natural beauty and rolling terrain of the Fazio course at Old Trail has drawn players of all levels for the past two decades. Arthur Hills has designed a course truly worthy of such a magnificent setting, with even the short holes providing a stimulating challenge. The natural beauty of the cypress hammocks and towering stands of pine remain unblemished. What's more, neither roads nor residential development are within the course. The Village Course, also designed by Tom Fazio, is located amongst homes, lakes and waterways. It is probably the only course in the country with a ferryboat. The ferryboat accommodates two golf carts and is used to cross a salt water boating channel leading to the Intracoastal Waterway. There are 10 Har-Tru tennis courts, a well stocked pro shop and dining and lounge areas. With clinics, individual lessons, mixers and tournaments in singles, men’s, women’s and mixed doubles, as well as interclub competition with other area clubs, this is a good place to be a tennis member. The Fitness & Tennis Center includes a 13,065–sq.-ft. health and fitness facility, a Tennis Pro Shop, men’s and ladies’ locker rooms – complete with steam rooms, sports and physical therapy, massage and aesthetician rooms and more for members and their guests. A Florida licensed dietician is available. The Fitness & Tennis Center offers cardio and strength training equipment in addition to an aerobics room, stretching areas, personal training and group classes. It also features the cool refreshment of a Sports Café that serves breakfast, lunch, drinks and smoothies with outside café seating. NatureTrails range from a 900-yard path around Lake Barton to a 5-mile wrap-around of the entire complex, affording spectacular views. South Florida is home to a variety of species including manatees, loggerhead turtles, Florida cranes, blue herons and more. From natural barrier islands to hiking trails to volleyball courts, the Jupiter area beaches offer fun in the sun along Florida’s beautiful east coast. Mandatory dues and fees. For costs and a brochure, email marilynfjacobs@gmail.com or text/call 561-302-3388. Jonathan's Landing offers and all-encompassing lifestyle with many activities and social events to choose from. It is in a relatively quiet, pastoral setting.